PoE was initially used in proprietary Voice over Internet Protocol (VoIP) systems in 2000. Each new generation of PoE standards and technology included higher power specifications. 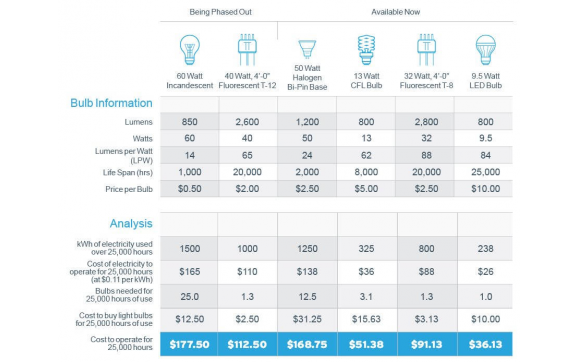 At the same time, LED luminaire efficacies have improved each year, so that by 2017, the 25.5W limit of the now superseded IEEE 802.3at standard sufficed to power nearly a quarter of all indoor luminaires. Power over Ethernet (PoE)-based LED lighting has been available for several years. Due to the recent (2018) release of IEEE 802.3bt-2018, the IEEE Approved Draft Standard for Power-over-Ethernet, the LED lighting industry has started devoting attention to this technology. The new standard includes significant enhancements for LED lighting systems. The main improvement is the specification for up to 90W of delivered power for cable lengths of up to 100m through the use of all four pairs of wires. This allows for daisy chaining of several luminaires, which can simplify the installation process. Other enhancements include improved efficiency for current PoE levels of 25.5W of delivered power, as the power loss in the cable is reduced by approximately half. For example, power sourcing equipment operating under the previous standard needed to supply a minimum of 30W to ensure that the power device receives 25.5W because as much as 4.5W can be lost in the Ethernet cable. Powering the same device under the new standard will reduce losses to less than 2.25W, translating to about a 7% efficiency increase. 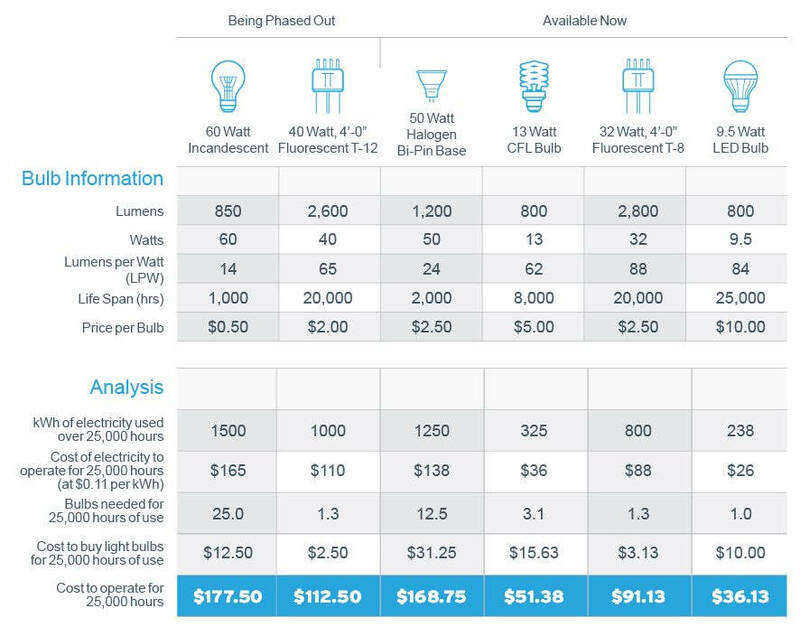 With UPoE ports (60 watts) powering two 2×2 lights each, PoE costs the same and often less than traditional AC lighting in new construction and deep retrofit. A simple 2×4 system in a Class A office space with custom and tunable fixtures can be built for less than $17 per square foot, installed! With the rollout of high power PoE (90 watts), Capex will be consistently lower than AC, while providing dozens of feature-rich applications. Opex results are similar, but emergency maintained lights can be remotely tested every month/year, yielding significant savings. Additionally, since lighting accounts for 35% of your building’s electrical load, LEDs reduce this draw by 50-90%, as compared to a line-voltage system. LED lights can provide more lumens per watt than both fluorescent and incandescent lights. LEDs can provide 160 lumens per watt versus 80 lumens per watt versus for fluorescent, and 20 and 14 lumens per watt for incandescent lights. A PoE LED lighting systems works with nearly any LED light, including UL924 PoE emergency lighting options. Additionally, conventional line-voltage systems have to be hardwired to match the layout of the space. If the space is re-organized and new walls go up, most often the lighting has to be re-circuited and its controls modified, which require an electrician and, therefore, more time and cost. With a PoE system, changes in circuiting and control are made at the software level, thereby making changes fast, easy, and virtually cost free. By combining power and control onto a single network connection, it is very simple to create comfortable, healthy and productive work environments. It makes every light an internet-of-things (IoT) IP-enabled appliance. In addition, wall switches, sensors and other low power accessories attach to any node. Also, the software is easy to use; devices are automatically discovered and configured through a drag-and-drop function. Many sensors are available to support daylight harvesting, light level, motion, temperature, humidity, CO2 and other environmental conditions to ensure customers save as much energy as possible, while providing outstanding light quality. As such, room-level environmental condition monitoring and reporting is greatly simplified. Not only can lighting optionally be controlled by occupancy sensors, but room-level occupancy can be tracked and analyzed to determine space utilization statistics via the software. Besides tracking and analyzing occupancy, it is also possible to track real-time energy usage on an LED-by-LED, room-by-room, and/or building-by-building basis. The outcome is a platform that enables building managers to customize the user experience without giving up the ability to conserve energy. Doing so enables businesses to future-proof their digital ceiling infrastructure to grow with new applications. Color tuning can be used to create visually stunning environments that can be programmed and scheduled with just a few button clicks. Furthermore, tuning color temperature and syncing with circadian rhythm will improve productivity, and health and wellness in the workplace. High quality lighting has been scientifically proven to improve altertness, thinking, concentration, mood, morale, and sleep. At the same time, quality lighting helps reduce absenteeism, errors, accidents, eye strain, fatigue, headaches, hyperactivity, cardiovascular events, and obesity! A lot of time and money was spent optimizing the tools and processes used to manage the organization’s IT systems. The IT personnel and/or the outsourced managed services provider are typically adept at monitoring, responding, and fixing problems as they arise. All these tools, processes, personnel, and experience can now be leveraged to manage the lighting, as well as all the IoT devices connected to it.